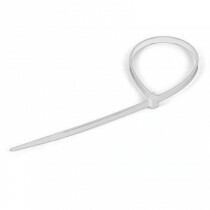 Cable ties are the most convenient and cost effective method for securing cables and bundled items. All sizes UL approved to a fire safety rating of UL94V-2. Available in black and white. Black cable ties are recommended for outdoor use, due to a higher carbon content.